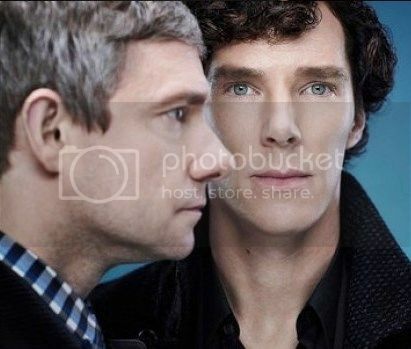 BBC Sherlock Fan Forum - Serving Sherlockians since February 2012 » Sherlock and Eurus - do they like each other? » Sherlock and Eurus - do they like each other? Sherlock and Eurus - do they like each other? The relationship between Sherlock and Eurus in TLD gives me mixed messages. They seem to genuinely enjoy each other's company during their night stroll. She teases him ("I mean the chips") and he smiles. He explains his deductions to her in a very gentle manner. Later by the river she tells him that she didn't expect him to be "nicer than anyone". It looks that while deceiving him she became actually fond of him - unexpectedly. Can it be that she'd been egged on by Moriarty without having really known Sherlock at all? Who knows what kind of lies she's been exposed to. In the end Eurus the therapist tells John that she'd spent a night with Sherlock. It sounded extremely suggestive and I have a feeling she wanted to hurt John somehow? And it's not necessarily a johnlocker perspective here. More like, "he didn't even go out of his flat for you but he spent time with me in the end". So she's warming up towards Sherlock (unexpectedly, perhaps) while hurting John, apparently evading Mycroft and making fun of the names in the family. Re: Sherlock and Eurus - do they like each other? I think she has been playing a role every time. The coquettish woman on the bus for John, the John copy (gun, cane, running around London, eating together) for Sherlock, the therapist for John. She has been playing them like Irene did with the Holmes boys, another Moriarty parallel btw. If the last scene reveals the true Eurus, I fear she is a psychopath who is a very good actor at the same time. Wow, very well put. She impersonated exactly the characters both John and Sherlock needed the most at any particular moment... She can read into people. I do not like her being psychopat but cannot somehow imagine anything else that would fit to what we suppose to know about her. But Sherlock is good with psychopats. I think she tells John about the night together, because that's what John has heard Sherlock say about Culverton's daughter ("we had chips"). She's revealing her other personas/disguises. And I agree Susi, that she was creating characters that would appeal to them. Apart from the cane, her version of Faith is nothing like the real one (not even in dress), but seems more vulnerable, more genuine, oddly enough, and a damsel in distress that Sherlock would want to protect (after failing to protect). What's really clever is that I, as a viewer, found fake Faith and E on the bus appealing as a viewer - they were both so likeable! I was reluctant to believe E was a baddie, even though I knew she had to be in disguise. So very well played. I know! She's SO likable!! 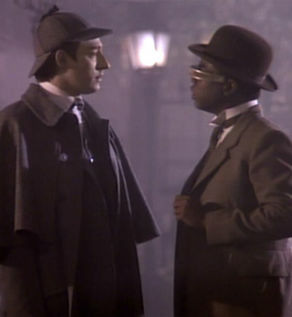 It's very unlike Sherlock to walk like THAT with somebody. If Eurus is the villain here, she must be the smartest and the most chilling one yet. with what she implied about the fate of the therapist, I fear Eurus is more than just a bit unbalanced. But that does not in itself exclude that she does in fact like Sherlock. As Irene Adler told us, a disguise is always a self-portrait. So not everything about it needs to be fake. 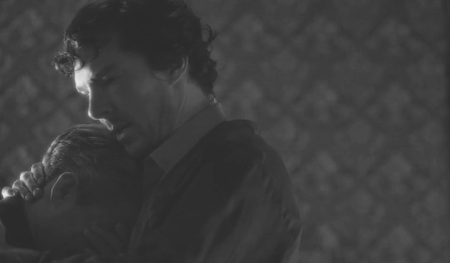 Might very well be that she was in fact surprised by Sherlock's warm and caring side. Not surprisingly, if we assume that the only brother she had any contact with in the last years appears to have been Mycroft, who's caring can be quite unsettling for the affected parties. But with her cold-blooded murder of a therapist, who knows? They were preparing her arrival from the beginning, for years. I hope, really hope , that there is much in the story, not just a killing psychopat, nothing is just black and white. 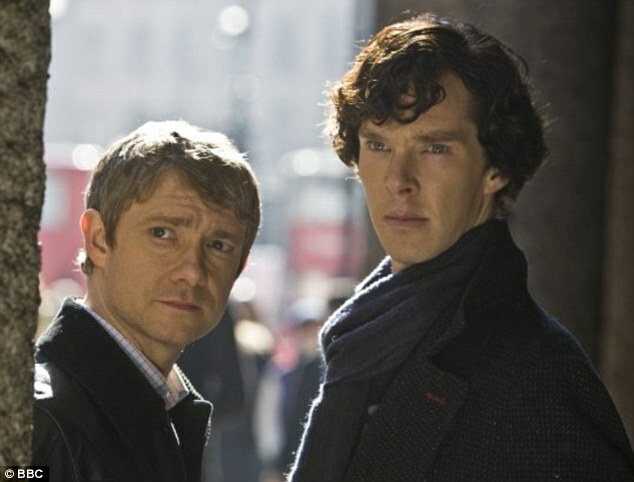 Sherlock finally after years starts to show and understand positive emotions. Where they working to this point just to have better means to ruin him? I'll second what Susi said. I think even if she is crazy or angry at Sherlock she could still have genuine affection for him even if only in fleeting moments. When Sherlock is not looking at her the looks and glances she gives him seem to be genuinely positive and although they could be an act when Sherlock can't see her there is no reason for her to keep up the facade, as Sherlock often does when he's faking a smile and then loses it as soon as the other person turns away. Her anger and rage may win out but we may still see some fondness of Sherlock from Eurus. He could be someone she loves to hate and hates to love. Good gravy, Sunday has to come quickly. This whole sister thing has distracted me all week! I'd second that. At the moment I think she is completely crazy, maybe liking Sherlock too much - killing Redbeard out of jealousy or something like that. In the Sussex Vampire the boy tests poison first on the dog and then tries to kill his sibling out of jealousy. they might use something from it. Jealousy of children can have any reason but the most often older kid is jealous of newborn or some coming newly into the life. Sherlock was old enough to remember something so was it long term or is he adopted? I've been thinking a lot about The Sussex Vampire and I wonder if Sherlock is more likely to the poisoner, as presumably he's older. It's a while since I read the story, but I seem to remember the mother has remarried, so the younger sibling has a different father. That couldn't possibly be the case with a younger sibling of Sherlock's as his parents are so clearly his parents, due to the casting! But also, Sherlock is a chemist (poison). I know Eurus putting an act doesn't preclude her genuinely liking Sherlock (and I suspect she might even turn out to be not so evil as it appears), but I'm still bearing in mind that she seems completely genuine as E too, and appears to genuinely like John. She's just a brilliant actress, so we can't be sure of anything yet. him or is jealous of him. Maybe she just can't contain her urges. Hence the decision is to be made to lock her away. Mycroft as the older brother has tried to protect Sherlock ever since, teaching him to repress all emotion and caring. All of this happens to Sherlock when he is so young that he barely remembers anything. But even more ironically, maybe because he has all these repressed memories and emotions, he later turns to poisoning himself - only with drugs. Oh dear, I'm dying to find out the real story but, at the same time, I don't want the series to end. What dilemma! Maybe it won't. Maybe, come 2020, there'll be a 5th season!